If you're open-minded enough to venture onto the other side of the Nissan Juke's daringly different sheet metal, what you'll find is a fun little hatchback-wagon-crossover-thing with a turbocharged engine and an available torque-vectoring all-wheel drive system. Get this car if you want a stylish sporty vehicle that gets good gas mileage and is a fun drive! 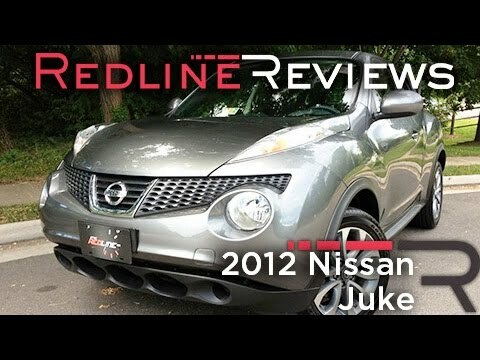 The juke is an amazing car. It is perfect for city driving and provides a smooth easy drive. I was interested in the car at first by it's unique style. The seats are comfortable and the gas mileage is superb. I like "juking" in and out of traffic but not in a dangerous reckless way. I have 2 dogs and they fit just great in the back. I would not recommend this car for large families as the backseat legroom is not the largest. The trunk space is adequate for normal living standards but I am looking at a larger vehicle for camping and road trips. I have not had any major issues with the car other than some recalls which were fixed for free by Nissan. I would have preferred it to have a center console for arm rests but you get used to the racing seats. It does provide an eco and sport mode but I rarely use those features. The usb input is very nice as it charges and also plays music through the car. I love the steering wheels grip and shape. There is also a nice hidden compartment in the trunk that holds car items that could be needed but are out of the way. The car is built with nearly no blind spots! The Nissan juke is the most reliable car you could choose as maybe a first car owner or someone who likes to travel. I haven't had very many problems with my car, the only thing I have had issues with was my key fob batteries do not last very long. The mileage on my car is great, I travel a lot for sports and even with that I only fill up once every other week. This car also has a lot of space with the hatchback, the back row of seats fold down and give you even more room. Along with that, there’s a storage compartment in the trunk that lifts up; I keep a generator back here in case of any emergencies. This is car is dependable, economic, sleek, and overall sporty. It is a sleek car. Pretty small from the inside but quite comfortable for the driver. It has built in seat warmers as well as the options to switch the car to sport mode or eco mode. The car is so easy to control and drive. This car contains a built in GPS which is so helpful because it stops you from getting on your phone to find an address. It has a built in Bluetooth and on the steering wheel it has buttons to help you answer or hang-up calls without having to take your hands off the wheel. Overall it is a beautiful sporty car that I wouldn't give up just yet. NISSAN WILL NOTIFY OWNERS, AND DEALERS WILL REPLACE THE AFFECTED SEAT BACK STRIKERS, FREE OF CHARGE. THE RECALL IS SCHEDULED TO BEGIN AT THE END OF JULY 2012. OWNERS MAY CONTACT NISSAN CUSTOMER SERVICE AT 1-800-647-7261.